As programs advance, old formats and file types are often left behind never to be used again. For the average user this can cause headaches. How do you access your old files when they're no longer supported? The solution we recommend is taking those old files and converting them into a more universal format. 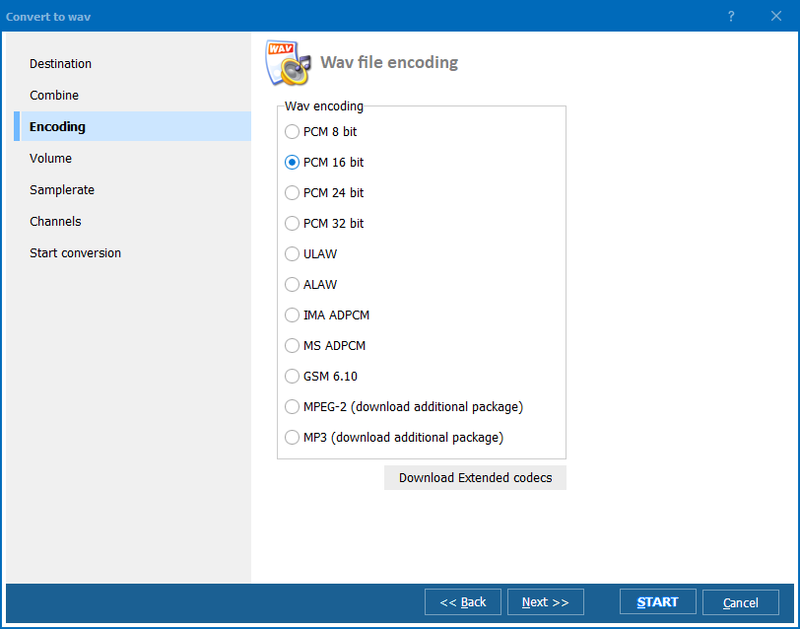 Instead of being stuck with a bunch of outdated AC3 audio files, upgrade them to the MP3 format! 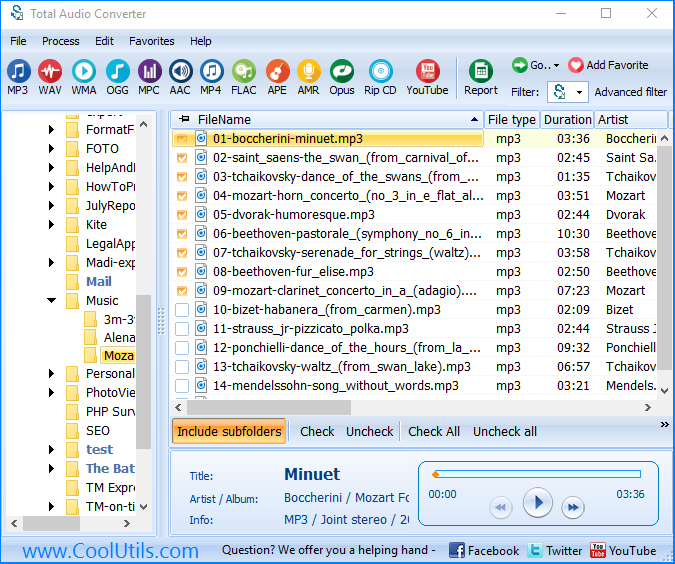 The Total Audio Converter lets you convert AC3 to MP3, WAV, FLAC, OGG, WMA and other more popular formats. With our AC3 converter, you can even convert AC3 to MP3 in batch! That’s right. In just a few quick clicks our user-friendly interface will help you convert entire albums and whole folders worth of audio. Taking old digital audio media and upgrading it has never been so easy. 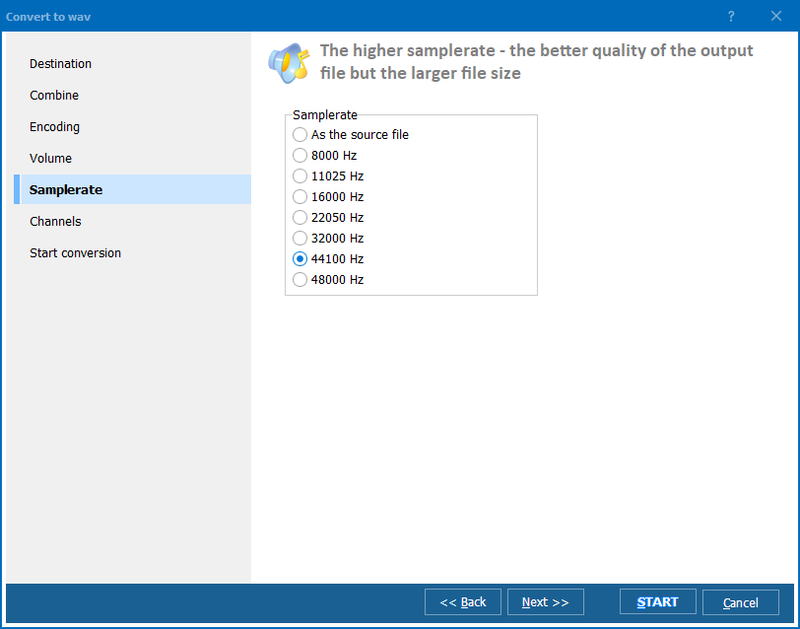 When you convert AC3 to MP3 using our utility, you'll be able to set your sample rate, bit rate, and choose between stereo, joint or mono outputs. You can even merge multiple albums. If you're an advanced user, access to the command line is available. Give it a try today by downloading our free 30 day trial. You'll discover that our AC3 to MP3 converter was built with you in mind. After more than a decade of continuous development based on user feedback, we've created a tool that is both powerful and intuitive. If you decide to upgrade, for just $24.90 you will receive lifetime access and all upgrades are free - forever! Supporting more than a dozen different languages, wherever you are in the world, we offer the conversion solutions you require. Follow us online by visiting our Facebook and Twitter pages. Convert AC3 to WMA with comfort.